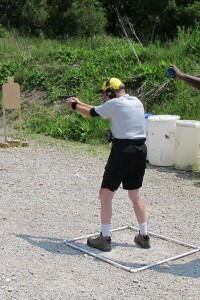 IPSC66 at Wayne County Raccoon Hunters held a 144 round USPSA special classifier match over the Memorial Day weekend. The six classifiers shot at this match included: Melody Line (CM99-08), 3-V (CM03-04), On The Move (CM03-09), Paper Poppers (CM03-05), Fluffy’s Revenge 1 (CM06-04), Can You Count (CM06-03). 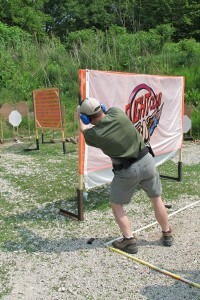 Two 32 round field courses were also included. 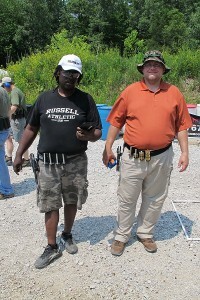 A majority of club members were shooting the Ohio Championship match on Saturday making the usual set up routine difficult.Two members went above and beyond coming in Saturday to set up all six of the classifier stages. This left only the two field courses to be built Sunday morning. A big thank you to Rob G and Bob W for all their hard work! Being this was a holiday weekend, a large turn out was not expected. 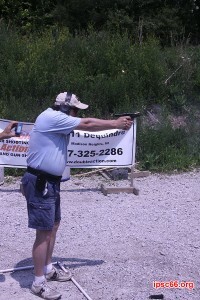 It was nice to see nearly 60 people come out to have fun shooting at our club. 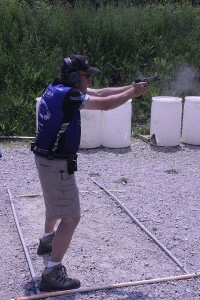 Other nice surprises were the presence of three members of the Canadian IPSC team. 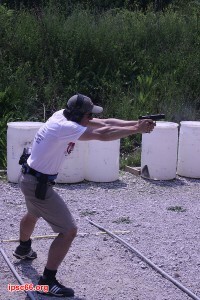 Mike Dame (Big Awesome) is a regular at south east Michigan USPSA matches setting a high bar, Evgueni K and Peter S showed us their exceptional skills as well with first place finishes in Production and Limited divisions respectfully. A warm welcome to Matilda and Bob! 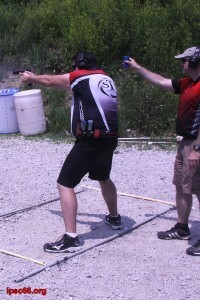 The husband & wife production shooters have come to practice on Thursday night and shot their first match at WCRH. With 6 classifiers under their belts they will have a classification next month. More important, both were smiling and said they had fun at the end of the day. 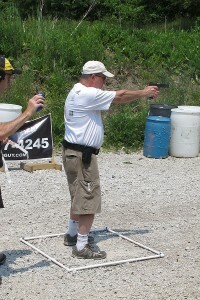 The total breakdown of shooters and stage scores for this match are at the USPSA website. Of special note in the scores is that of club member Chris B who had a hit factor of 10.6796 on Melody Line. If the unofficial classifier calculator is correct, this gives Chris a 100% moving him one step closer a GM status. 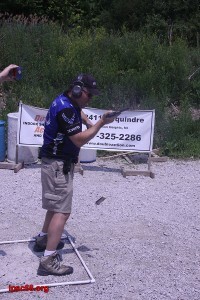 Thank you to Eric S for sharing the pictures he was able to get during the match.